The transmission in your car is one of the most critical parts to keep running smoothly. There are various reasons for this, but the cost is at the top of the list. Minor repairs and maintenance on a transmission are not going to break the bank, but the cost of completely overhaul or replace a transmission can be expensive. 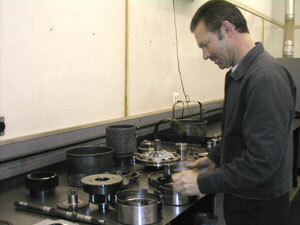 Here at ALL-TECH Transmissions, we are experts in diagnosing, repairing, and rebuilding transmissions. 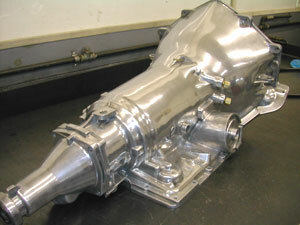 Give us a call today at 540-788-1740 for your transmission repair needs! Does your car transmission need repair, tune up, replacement? 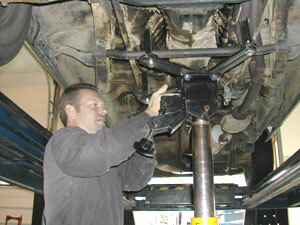 If your car transmission needs repairs or replacement, you've come to the right place. By the time most cars come in they have considerable mileage, often well over 100 thousand miles, so it is no surprise that the condition of the transmission is a justified concern. 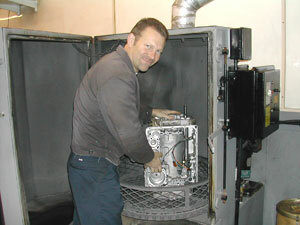 Heat as well as wear is an enemy of your transmission. The cooler you can keep your transmission the longer it will last. Whatever is needed for your transmission, we can help. Often good fluid and filter maintenance is all you may need. If you need a complete replacement, we are your resource! Our complete transmission overhaul usually includes: all new seals and gaskets, new clutches and bands, replacement of any worn or questionable parts, and a new filter and synthetic fluid. Additionally, when your transmission is worked on at ALL TECH, we update it to the specs for the latest model year for that vehicle. We work on automatic transmissions as well as stick shift manual transmissions. Whether your vehicle is in need of minor transmission maintenance or a more major repair, the team at ALL-TECH Transmissions are experts in this area of automotive repair. In addition to being trained to ensure any type of service needs are met, our team of professional mechanics also guarantee all our work. We work to ensure you are entirely satisfied with the job. Most auto repair shops are trained to replace transmissions, and charge quite a bit of money. We aim to provide you with other options, such as smaller repairs or rebuilding, so you don't have to jump to a complete replacement. This saves you time and money, making us feel that we've accomplished a job well done. ALL-TECH Transmission, Inc. stands behind its work so you don’t have to worry. Our standard offering is a 12 month 12-thousand-mile warranty on parts and labor! We also offer the option of getting a complete transmission replacement with a packaged solution (not bench built on site). This option comes with a Nationwide 3 year 100K mile warranty! Transmission trouble while traveling? Let us do your transmission replacement and while getting you back on the road, you will receive a traveler’s warranty certificate that is honored at ANY US shop for up to 3yrs or 100K miles. There is no need to take your car to a dealership for the manufacturers recommended service. For a fraction of the cost come to ALL-TECH TRANSMISSION. Be sure to ask how you can get a 3yr/100K mile warranty!